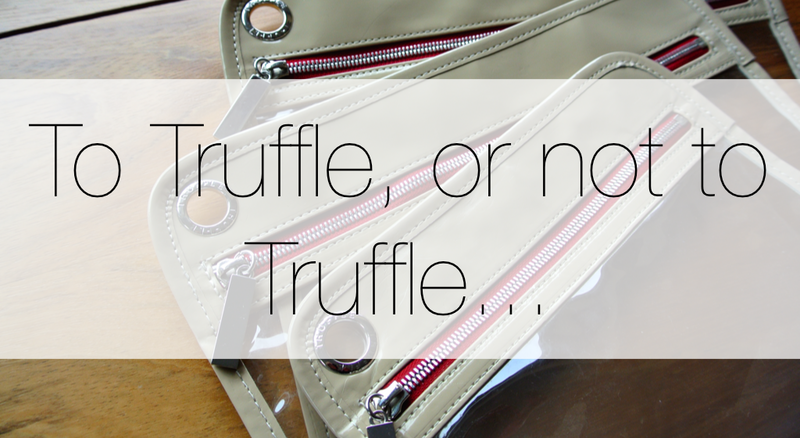 I didn't bother finishing the sentence above because truly, #OUTTRUFFLING is the only way to be for ultimate, chic organization on the go. I've owned my 3 clarity pouches for almost a year now (i even checked the order date in my gmail) and have been using them every time i travel so they're well loved. The largest pouch (The Grand Clarity) is no longer available but the Petite Clarity and the No.1 Clarity are available on their website along with a few other items. The Petite Clarity pictured above is perfect for travel, not only is it TSA approved but its the perfect size to keep all those essential little bits and pieces from rolling around in your bag. I use this for flying and to throw in my handbag when i'm home. If it gets dirty between uses i just use a damp cloth to wipe it clean. As for the No.1 Clarity, i like to use it for toiletries when traveling. It makes grabbing what i need out of my luggage a breeze (especially when i arrive sleepy-eyed in the wee hours of the morning), plus it looks chic as frick on the bathroom counter. Its also great if you like to switch bags often (handbag to gym bag or just between purses) as you can just put all your must-haves in it and switch it between bags. The fact its wipe-clean is great for protecting your favorite purse from lip gloss/hand cream mishaps, too. I know this size isn't available any more but i'm hoping they bring out something similar. The Grand Clarity is perfect for my in-flight essentials because i can take it out of my carry on and into the seat pocket of the plane and i don't need to keep accessing my luggage. I also like to think it helps TSA since it clearly shows everything if they open my bag. Overall i just find these pouches really well thought out and functional. From the sturdy hardware to its durability and not to mention how awesome they look, i found they've been well worth it for me and have probably paid for themselves in how many ziploc bags i've not used when traveling.